Just like the post says, lets see what everyones first bikes have been. You have to be north of 50 to even know what a Hodaka is! Ace 100's, Wombats, Combat Wombats...damn takes me back to the Bill's Hodaka Shop in Exton PA @1967! A brand new 1967 Hodaka Ace 90. I snub my nose at your Hodaka 90. Me and voodooridr started with the Hodaka Ace 100, in 1971. Well, at least I got mine in 1971. I saw one awhile back and I was amazed at how tiny those fork tubes are. Last edited by voodooridr; 08-01-2013 at 08:55 AM. Damn. KCCO is the only one who's first bike wasn't way before my time. And as stated I had to google Hodaka to get an idea of what y'all were talking about haha. I also guess I was the only one who's first bike was a street bike. Haha. Damn kids and their motorbikes. 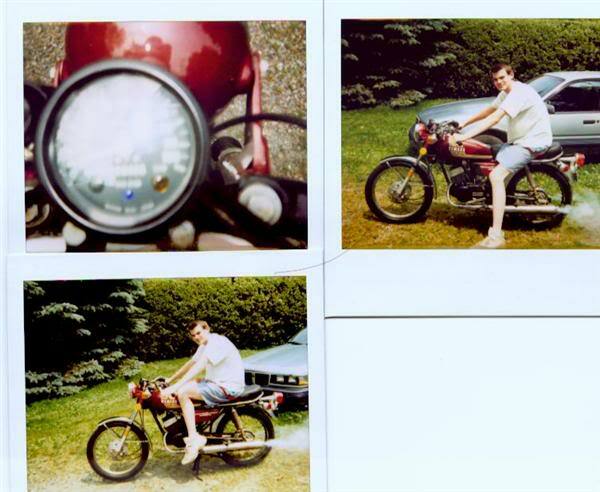 Yamaha 650 special like 2 days after I turned 16. Worked in Mcdonalds and Woolworths to afford it. Mom was against it but hey, I had to get to work. It replaced the moped I was using. Huge jump in cool factor. Those old XS650's were great bikes unlike some of the other Yamaha models at the time. I was working in a Honda/Yamaha shop and when you put the 650 on it's centerstand (you young guys can Google that) you could rev it up in neutral and on smooth floor it would vibrate backwards. We used to have backwards races at lunch time in the setup shop! I'd actually like to pick one up but they've gotten mighty pricey! Last edited by oahu hawk; 08-01-2013 at 11:23 AM. Not sure what year it was but it was old when I got it in 1980. It was a suzuki 50. I raced that thing for about 1 year but it had so many problems. Then my parents bought me a brand new yamaha PW 50. I started racing when I was 4 and I still have the PW 50. It's the little yellow and black bumble bee one. It still runs. A mid-60's 80 cc. Suzuki K11. The K11 was the sports model. 1997 GS500E. Did a full restoration on it and went from purple to red with a duc stripe front to back in black and a Vance & Hines exhaust on it, sounded amazing. That is un till a bit of silicone got lodged in a oil jet for the balance shaft and made the casting look like an egg would fit in there better. 1st, 2nd & 3rd bikes were all 1985 Honda VF1100S V65 Sabres. My first dirt bike was a 1980 Yamaha MX 100,my first street bike was 1979 CBX . First dirt bike 1971 Rupp Hustler, used to pull the front wheel up shifting into 2nd (auto trans), first street bike, 1981 honda CB400T Hawk bought from my grandfather in 1988. A bit like this one but mine was Red I put some Hi tec reeds and an Allspeed exhaust on it and some cone air filters. Can't remember what year it was and sadly I don't have any pic of it either. 1979 Suzuki GS 425E, crashed it twice in one day on day 7 of owning it, lucky for me I was in motorcycle mechanics in school cause I could fix it each time I crashed it. I think I crashed it 7 times before I killed it and moved on to a cool little GT 250 2 stroke. 1980 Honda CB650C. You never forget your first. It was four years ago, with a brand new, off the showroom floor Genuine Scooter Co. Roughhouse 50cc. I had a disparaging view of motorcycles beforehand and only bought it because of high gas prices. I lived off that scooter in a small city in upstate New York and then for a summer in Washington, DC. It launched me into an unique obsession and a long, winding journey that led me through ten different actual motorcycles. My Superhawk is my 12th. You guys don't know the meaning of the word high gas prices. To fill a 16l tank here is aprox if I do the conversions $24 - $28 depending on how empty the tank is. 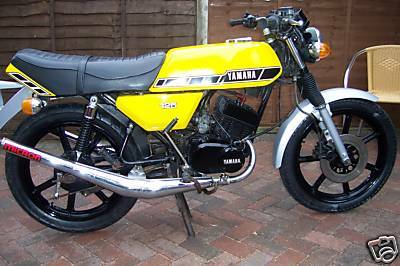 Quick Reply: What was your first bike?